As noted a few weeks ago in our post on Abraham Lincoln’s Gettysburg Address, The Almanac prefers to limits its researches to those events that occurred within the 150-year lifespan of The Nation itself. 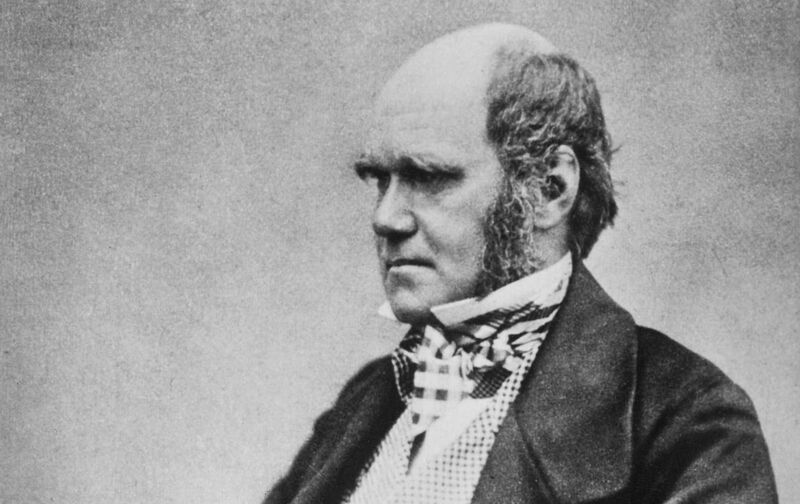 Yet we have another reason to make an exception today—there will be another Lincoln-related exception two days from now—with the publication in 1859 of Charles Darwin’s paradigm-shifting On the Origin of Species, the classic exposition of the theory of evolution applied to the development of animals. We were curious how The Nation, in its early years, treated this slayer of dragons. After Darwin’s death in the spring of 1882, the editors published a tribute to Darwin that indicates the profound influence the scientist had within his own lifetime, and how thoroughly insane it is that some stubborn souls remain unwilling to accept the fundamental truth of his theory even today. Mr. Charles Darwin, who has just passed away full of years and honor, is probably the man who has done most to make the nineteenth century famous, full as it has been of wonders, because he has done more than any other man since Copernicus to change the ideas of the civilized world touching man’s relations to the physical universe. Copernicus and Kepler may be said to have closed the medieval epoch, and fatally shaken the authority of the Church in the domain of natural philosophy, but then they never reached the popular mind, and produced but little rearrangement of ideas outside the scientific world. Moreover, the doctrine of evolution as an explanation of the earth and the heavenly bodies as we now see them, had made its appearance long before Darwin’s day, without producing much impression on morals, or theology, or politics. It was Darwin’s application of it to the explanation of the animal world, as we now see it, which made it a really great force in human affairs—a force which, though it may be said to have been felt for but little more than twenty-five years, has already profoundly affected the modern way of looking at nearly all social problems. It is safe to say that there is hardly any sphere of human activity in which the influence of his ideas is not felt in a greater or less degree, and it bids fair to grow with an accelerated ratio. The hostility with which they were at first received by the Church has already greatly abated, and probably the best educated and most influential portion of the clergy of all denominations now allow them to govern their expositions of man’s relation to the unseen as well as the seen universe, and are at least content with his explanation of the process through which the race became self-conscious and moral.